Collected Poems - Description | W. W. Norton & Company Ltd.
Three decades of powerful lyric poetry from a virtuoso of the English language in one unabridged volume. 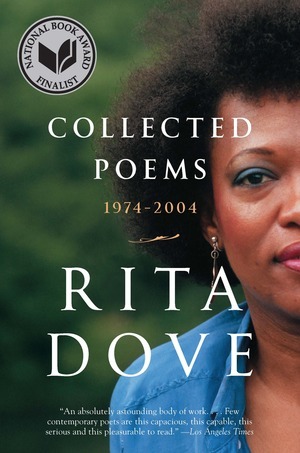 Rita Dove’s Collected Poems: 1974–2004 showcases the wide-ranging diversity that earned her a Pulitzer Prize, the position of US poet laureate, a National Humanities Medal and a National Medal of Art. Gathering thirty years and seven books, this volume compiles Dove’s reflections on adolescence in The Yellow House on the Corner and her irreverent musings in Museum. She sets the moving love story of Thomas and Beulah against the backdrop of war, industrialisation and the civil right struggles. The multifaceted gems of Grace Notes, the reinvention of Greek myth in the sonnets of Mother Love, the troubling rapids of recent history in On the Bus with Rosa Parks and the homage to America’s kaleidoscopic cultural heritage in American Smooth all celebrate Dove’s mastery of narrative context with lyrical finesse. Detailing the volatile relationship between the black violinist George Bridgetower and Beethoven, this is a "masterful collection" (Los Angeles Times). A dazzling new collection by the former Poet Laureate of the United States.